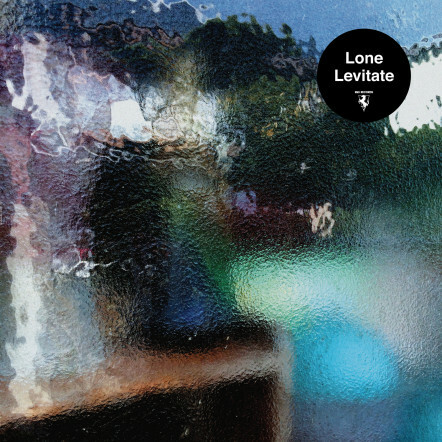 Lone’s music has always been impossibly feelgood. Take the feeling a child has being told they’re going to Disneyland, combined with the feeling of falling in love, combined with that first beer buzz you ever had as a spotty-faced teenager. Take that combined level of euphoria and multiply it by ten. Lone’s music is still more feelgood than that. Fuelled by nineties nostalgia but carried out with a forward-thinking ear for arrangement, the electronic producer has continued to change up his style with every release reviving early rave on 2012’s Galaxy Garden, dabbling in dusty boom bap on 2014’s Reality Testing, and now tackling jungle on Levitate. The pace has been picked up since the last album. Opening with ‘Alpha Wheel’, the listener immediately finds themselves riding some speeding Ridge-Racer-esque chord stabs, Lone reigniting the dizzying brightness of Galaxy Garden. This is followed by 'Backtail Was Heavy', booming drums reminiscent of The Prodigy accelerating the track along, overlayed with Lone’s signature psychotropic synths. Third track ‘The Morning Birds’ is the first real speed bump, a percussionless piece that revolves around some woozy vocals. It’s very beautiful, but Cutler doesn’t really do anything with it, fading it in only to fade it out once it gets tiresome. In many ways, this is Cutler’s biggest flaw on Levitate – he doesn’t take the time to develop each track like on previous records. Ambient closer ‘Hiraeth’ is the other example of this, whilst ‘Breeze Out’ also feels a little underdone. Were the album longer it could get away with these moments of filler. That said there are some songs here that offer enough progression and change of direction to keep the momentum of the record up. ‘Triple Helix’ is insanely fun – the flurry of chord stabs creeping in suspensefully like a rollercoaster approaching its drop. ‘Sea of Tranquility’ meanwhile breaks into some surprise jungle breakbeats, an interesting twist in the track that keeps the listener on their toes. These moments show Lone is still very much in touch with his creative side, proving he's more than retro revival. This isn't just a rejuvenation of jungle - as always his unique chord choices (each one warmer and fuzzier than a childhood memory at the beach), his intricate percussion rhythms and his arsenal of psychedelic effects make for an entirely original genre that Lone is the lone practitioner of.